These are generally called real time monitoring systems which will record and monitor the Temperature continuously. The system being provided by us is a stand alone system which will record the data in itself as well as on a server and on a web based system. The data can be viewed and reports can be generated through these systems. The device is with full battery back up and the data will not be lost in the event of power failure. Also the recording and monitoring will continue for couple of days. Both the recording device and alert system are with fully battery back up. 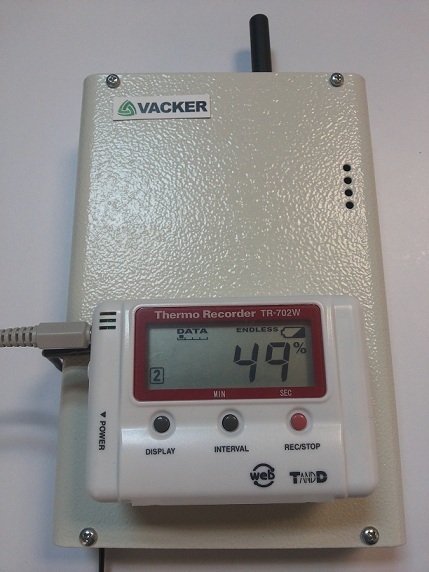 The instruments are calibrated and the customer need not keep any other data loggers for regulatory purposes. This device will generate all kind of periodical data for such purposes. Also the system will automatically send daily summary report to 4 Email ids if programmed. Similar system can be installed on vehicles which transport medicines, food etc. We have supplied similar devices in various food and health care industries all around the Middle East countries.